We're constantly looking out for the very best mobile phone deals and while usually phones may drop by a few quid here and there or get a data boost, every so often we dig out an absolute gem of a deal. 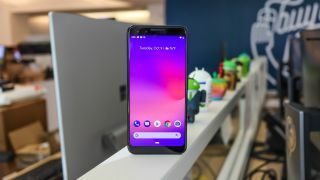 Our most recent find - a Google Pixel 3 deal that's nearer the range of budget smartphone than flagship. Now costing just £24 a month and £40 upfront, we can't help but feel excited at the prospect of owning this camera champion at such an affordable price. Costing £123 less over the two years than buying the device out right, this is the definition of a great deal. Ready to up your camera game and get one of the best phones on the market at a low price? You can see this deal in full below. Or you can compare this deal's prowess against the other best in the world on our mobile phone deals guide.